The Medici Villas and Gardens in Tuscany are a group of residences in the countryside built by the Medici family. 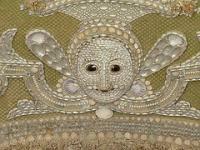 They are illustrative for their patronage of the arts during the Italian Renaissance. The Medici Villas and Gardens comprise a serial nomination of 12 villas and 2 gardens in Tuscany. These are the legacy of the extensive arts patronage of the wealthy and powerful De’ Medici family. The constructions date from the 15th to 17th centuries, and reflect the contemporary trend among the Florentine wealthy to live in the countryside in harmony with nature. While I was staying in Florence for a week on a busy schedule, I used a few free hours to get a feel for this WHS. I wanted to visit a spot accessible by public transport, not too far from the center of Florence and with positive recommendations. The Villa di Castello seemed to fit the bill perfectly. It lies on the outskirts of Florence (near the airport), and can be reached by a 10 minute train ride followed by a stroll of the same length. 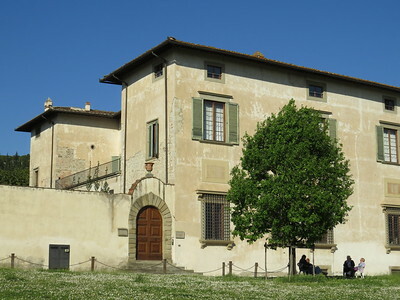 The Villa di Castello was the country residence of Cosimo I de' Medici. He had lived there as a child, and decided to turn the villa into an ambitious project when he came to power as Grand Duke of Tuscany. The villa was to be adorned with masterpieces of Renaissance art, while the gardens were redesigned by adding statues, fountains and a system of aqueducts for the necessary water supply. The country house itself is not open to the general public anymore – it is used by an Italian language institute. The gardens are free to enter though. There were only 2 other tourists around when I visited on a late Tuesday afternoon. The gardens are well-cared for, and still orange and lemon trees are grown on site just as in the original design. The "formal" garden lies directly at the back of the villa, and is built against a natural hill. It has the common attributes that we know so well from other court gardens, nothing unmissable but certainly done with taste. The highlight for me was the Grotto of the Animals. It's a man-made cave embedded with stones, mosaic and seashells. Three niches hold groups of animals, ranging from wild boar to a giraffe. The display of all kinds of terrestrial, aerial and marine creatures is probably motivated by "a purely intellectual curiosity and spirit of inquiry". Cosimo als had his own zoo with exotic animals at his villa in Poggio a Caiano. The creation of artificial grottoes such as this one was the result of the introduction of the Mannerist style in garden design. The Villa di Castello might be the first site where this was done, the better known grotto in the Boboli Gardens in Florence was modelled after it. The grotto used to hold a "water joke" to entertain the Duke and his visitors: by turning a key, the gate would lock guests inside the grotto and they would be soaked with water from hidden pipes. Unfortunately this is not on display anymore, you have to stay behind a fence and cannot enter the cave. Outside the enclosed garden and even more uphill, a "forest" was created. In the WH nomination the Italians tried to market this as a precursor to the English landscape garden, but did not fool ICOMOS which dismissed the Medici as minor nobility with pretty small gardens. There's not much to see here among the trees, except for the intriguing Fountain of Appenino (see last photo). In total I spent about 1.5 hours in the gardens. It's a pretty place to explore on a sunny day in Spring and an oasis compared to the Florence city center. Especially this garden of the Villa di Castello has been a large influence on Italian and French garden design, so it definitely was an educating visit too. I have not yet been prioritizing visits to the WH sites when I last was in Tuscany, so my familiarity with this serial property is limited to Boboli Gardens. Even that is due in large part to my regular visits to Florence in the first decade of this century. With all that the city has to offer, Boboli Gardens do not exactly break onto the A-list of Florentine attractions. I only went to see them on my fourth or fifth visit to town. At the height of the season, in early August, this fairly centrally located attraction still gets just a fracture of the visitors found elsewhere in Florence. The gardens are large, well-maintained, full of statuary, and with a few notable features, such as the grottoes, the amphitheatre, or the Neptune Fountain. As they are laid out on a steep hill, they offer various elevated viewpoints onto the city. A person who have seen many formal gardens around the world may find Boboli Gardens a bit dull, although objectively they are clearly a remarkable specimen of the gardening art. Interestingly enough, Palazzo Pitti is seemingly not considered part of the WH site but is shown within the boundaries of the property on the official map attached to the entry on the UNESCO website. It offers a couple of impressive spaces and a couple of limited-interest expositions, so you can safely skip it. When I am next in or around Florence, I will prioritize seeing a couple of villas on this inscription. In November 2017, I managed to visit all the 14 locations of this WHS: twelve villas and two gardens. Only some of the villas have regular opening hours, a few others are accessible under certain conditions (eg a hotel or a winery) or by prior arrangement. When you travel by car, all locations are easily accessible, public transport seems to be quite time-consuming for the remote sites. However, the best sites are in or around Florence: the Villa della Petraia, the garden of the Villa di Castello and the Giardino di Boboli provide a good impression of this WHS. If you want to visit more, I would recommend Villa di Poggio a Caiano and (to a lesser extent) Giardino di Pratolino and Villa di Cerreto Guidi. Villa di Cafaggiolo: not open to the public; 30 km north of Florence, currently under scaffolding. Villa del Trebbio: no regular opening times; on a bumpy dirt road not far from Villa di Cafaggiolo. The villa is hidden behind walls and high trees. Today it is owned by a wine and olive oil producer, so a visit by special appointment may be possible. Giardino di Pratolino: regular opening times; 15 km north of Florence. The original Medici villa was demolished. The park is a landscape garden with several fishponds, statues, aquaducts. Most impressive is the ‘Colosso dell’Appeninno’ (photo), but it was also the only pond filled with water. The poor condition of the empty pools and some sculptures suggest that the fountains and water features do not work in summer as well. Quite nice, but also a little disappointing. Villa di Careggi: currently closed for renovation works, the park was also closed; previously in use as an administrative building by the neighboring hospital, but I’ve no information on the future use after restoration. Villa della Petraia: located in Castello, regular opening times, visit with a guided tour, free of charge. La Petraia was my favourite, the characteristic architectural elements are the massive tower and the beautiful courtyard entirely covered with wall paintings. The furniture and internal decortation are mainly from a later period (18th and 19th century), most remarkable are the fourteen lunettes of the Medicean villas by Giusto Utens. Villa di Castello: located in Castello, just a short walk from La Petraia; the villa is not open to the public, but the garden has regular opening times; in detail described in the review by Els, nothing to add. Giardino di Boboli: behind Palazzo Pitti; huge gardens with plenty of sculptures and all the typical elements of a Renaissance garden, I liked best the Grotta di Buontalenti and the Fontana del Bacchino. If you want to visit the gardens only, I would recommend to use the side entrance a few hundred metres after the Palazzo Pitti. Villa del Poggio Imperiale: located in Arcetri, about one kilometer uphill from the Boboli Gardens. Today it is used as a school building, it houses also a small museum with limited opening hours. The museum was closed when we arrived, but we asked the concierge and were allowed to have a stroll around the corridors and the the vestibule. Villa Medici di Fiesole: not open to the public, not remarkable from the outside. Several years ago, during a business meeting, I was invited to a diner at Villa Fiesole. I remember the nice garden and the amazing view of Florence. Villa di Artimino: today a four-star-hotel and restaurant, we visited from the outside only. Villa di Poggio a Caiano: 20 km from Florence; one of the most beautiful Medici villas, with many typical Rennaissance elements, regularly open, but most of the interior is from later periods. Villa di Cerreto Guidi: houses a hunting museum with regular opeining hours, but the museum has no relation to the Medici and is not very interresting. Villa La Magia: currently under scaffolding, guided visits only on appointment. Palazzo di Serravezza: the most western of the Medici villas, located between Lucca and La Spezia. The villa looks more like a castle. Today it is used for temporary exhibitions, but it was closed, we could only visit the courtyard. 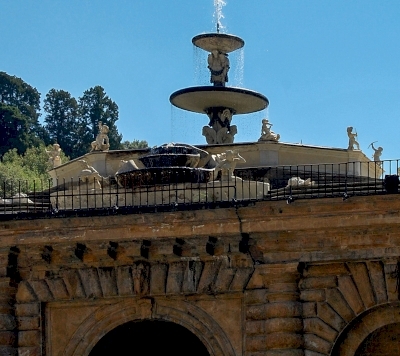 Boboli gardens are within « Historic Center of Florence » WHS. So it is inscribed twice. The gardens are nice to wander around. The site includes the Pitti Palace, a vast Renaissance palace housing a museum. A top the gardens, the Casino del Cavaliere, a nice small separate gardens. 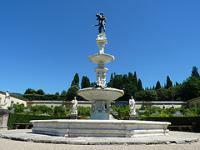 Villa Petraia garden and villa is open to public, and easy to reach from Firenze center. It is a nice walk around the Italian gardens. Villa Castello is about 5 minute from villa Petraia. It is usually open to public, but was closed on the day of my visit. I could see the extrenal walls of the villa. The gardens seem very interesting to visit. Villa Pratolino is a few kilometer north of Florence centre, in the middle of a hospital campus. It is closed to visitors and the villa is hidden behind trees. South of Florence city, Villa de Poggio Imperiale can be reached by bus. It houses a high school. The front of the building is a parking lot. This villa can be ommitted. Villa Fiesole i a few kilometer east of Florence, accessible by bus. The village of Fiesole is on top of a hill, with great views on Florence and its valley. The villa is not open to visitors and is behind walls, so you can only get a glimpse of it. The others villas are further afield and recquire a car, as public transportation seems difficult from Florence. To the north, villa Cafaggiolo is a one of the oldest villa, looking like a small castle (my picture). It is not open to the public, but is easy to look at from the public road. On a hill nearby is Villa Il Trebbio, accessed by a long dirt road. Unfortunately, the villa is closed behind wall and trees. To the west of Florence, villa Poggio a Caiano is a very nice villa and garden, both open to public. Villa La Maggia can only be seen from outside, from a public park a bit west. There is however a guided tour once a month to the inside. Villa Cerreto Guidi houses a small and free museum on hunting. It is in a small village atop a hill. Thanks to the museum, the villa can be extensively visited. To note, a few kilometers from here, the village of Vinci, birthplace of Leonardo. Villa Artimino houses a conference center and a small museum (only open in the morning). Nice view from the road however. To summerize, I would recommend Villa Petraia and Castello by public transport from Florence, and Villa Poggio a Caiano and Cerreto Guidi by car. I visited another 2 Medici Villas in July 2013 and August 2013. I visited Villa Poggio Imperiale which is already visible when driving to or from Piazzale Michelangiolo. It is really huge and it is currently used as a state school. I also visited the Medici Villa and Gardens at Castello. It is the seat of the Accademia della Crusca and is not regularly open to the public. The Sala dei Pali is really impressive and a must for anyone who loves the Italian language. The gardens are well kept with different plants, flowers and fruits. 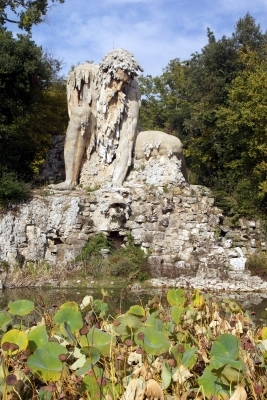 There is a grotto similar to the one in the Boboli Gardens with statues and shell decorations. Nearby it is also quite easy to visit Villa della Petraia and its gardens but I very much preferred the one in Castello. In July 2013 I visited Florence for a couple of weeks so I decided to explore some of the sites listed in this WHS. While in the Badia Fiesolana I got a bird's eye view of the Villa Medicea di Fiesole and then I visited the Giardino di Boboli in Florence. The Giardino di Boboli is an evergreen garden where green is the main dominant colour with few flowers if any. The Giardino di Boboli was intended to be a place of contemplation and Grand Duke used to personally accompany his special guests through the garden explaining that after such an experience they would feel changed in mind and soul. The present exit near Palazzo Pitti was originally intended to be the entrance with a statue of a fat dwarf on a turtle representing Cosimo's advisor. This certainly doesn't help! I would suggest reading some information ahead of your visit otherwise you won't appreciate it. Hopefully I'll have enough time to visit more sites soon. Mannerism: The mannerist garden in Pratolino. Historical zoos: Lorenzo De' Medici had a zoo at his Villa in Poggio a Caiano, "composed of lions, dromedary, cheetah, giraffe and an Arab"
166 Community Members have visited.